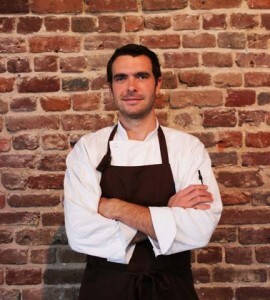 Located in the historic Wagener Building on East Bay Street, Southend Brewery and Smokehouse showcases Chef Garrett Priester’s appreciation for Lowcountry cooking defined by Southern Gullah and French cuisine. The dishes feature local ingredients and sustainable seafood from local purveyors, as well as infuse the distinct brewery flavors of Southend’s signature beers. 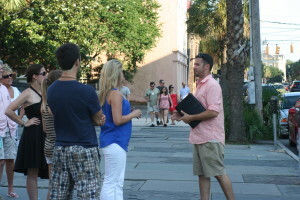 Charleston Culinary Tours combine the best of Charleston history, cocktails and food with unique tours that highlight the lowcountry. Each of the five Charleston Culinary Tours visit several different restaurants, bars or the Farmer’s Market to combine elements of a historical tour with a culinary adventure. This entry was posted on January 13, 2014 at 5:07 pm and is filed under Sales & Events with tags charleston beer dinner, charleston beers, CHARLESTON CULINARY TOURS, charleston events, Charleston Farmer’s Market, charleston oysters, charleston visitor, Chef Garrett Priester, Chef Jonathan DuPriest, downtown charleston, Lowcountry Smokehouse Draft Dinner, Southend Brewery, SOUTHEND BREWERY AND SMOKEHOUSE, www.charlestonculinarytours.com. You can follow any responses to this entry through the RSS 2.0 feed. You can leave a response, or trackback from your own site.